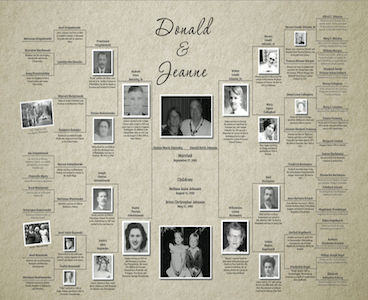 This traditional family tree shows a couple, their children and/or grandchildren, and four generations of the couple’s ancestors. 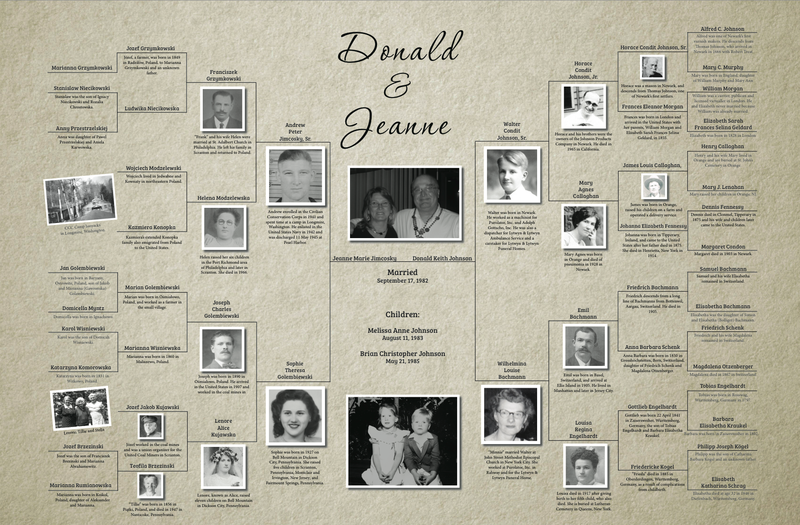 The design allows for the inclusion of brief biographical information or years of birth and death, 2-3 large photographs, and photographs for the first three generations of the couple’s ancestors. The tree is printed on high quality photo paper in an easily frameable 24″ x 36″ size. 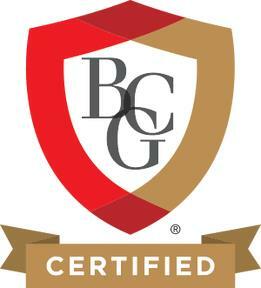 Pricing varies based on whether the tree includes the couple’s children, or the couple’s children and grandchildren.